Defining the most effective way to attract, convert, and close qualified leads through email is a sizable task. Just when you think you've defined a strategy that works, it goes stale. Worth giving up over? No. Effective email lead generation requires a great deal of trial and error before you come up with the best way to approach it. Below you'll find our best tips and tricks to help you generate even more leads from your marketing emails. According to HubSpot, 4 out of 10 subscribers mark email as spam due to irrelevancy. Rather than run the risk of being marked as spam, you'll want to be sure that you are properly segmenting your email list. Without segmentation you're essentially writing for a nameless, faceless group of recipients, which makes it increasingly difficult to establish common ground or form a connection. If you have several different buyer personas, you'll want to make sure that you're tailoring your content to their specific interests. While you may present information to a marketer one way, it's likely that you'd speak differently if you were writing content for a CEO. To increase click-through rates and conversions, your best bet is to create separate content that speaks to the pain points, goals, and areas of interest that are unique to their role. If you're using marketing automation software like HubSpot, you can dig into your contact's past behavior to identify patterns. Maybe you separate all of the people who downloaded offer X and send them one variation of an email, and send contacts that downloaded offer Y a unique variation that better aligns with their research. To ensure relevance, you can create different lists for recipients living in different locations across the globe. In an effort to improve their email conversion rates, Groupon began segmenting their lists by metro areas. They then took things a step further by targeting individual zip codes. As a result, they've been able to increase their subscribers from 2 million to more than 115 million. 64% of people reporting that they open email based off the subject line, it's clear that there's a lot riding on its performance. So before you hit send, ask yourself – why should my audience care about this email? Challenging yourself to answer this question every time will make it easier for your to craft a subject line that speaks specifically to their needs. The goal of your subject line is to invite the recipient to want to read more. Rather than beating around the bush, employ a bit of copy that states exactly what they can expect from clicking. While vague subject lines can be situationally used to stir up curiosity, it's best to keep it straightforward. According to series of seven email subject line tests from the Aweber's Amanda Gagnon, emails with personalization in the subject line had a 5.13% higher average open rate, and a 17,36% higher click-through rate. 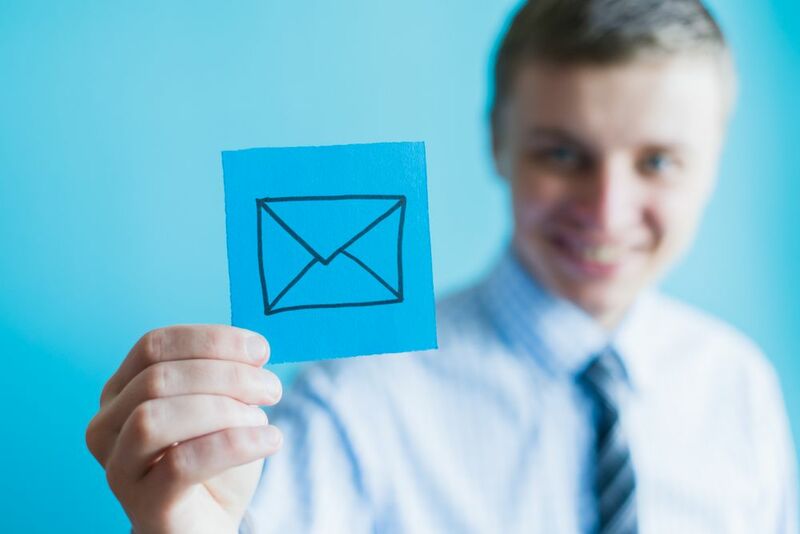 While nothing compares to running your own tests, it appears that the inclusion of your recipients name in the subject line can significantly increase its performance. According to A/B test from HubSpot, personalizing the sender name and email address can increases open rates an average of 3%. Once you get your email opened, you need to put forth body copy that keeps them there. Keep in mind that this isn't something that can be cleverly disguised by a flashy design or compelling visuals. Strategic body copy serves as your opportunity to persuade, provide value, and ultimately set up the conversion. Let's say you want your recipients to subscribe to your blog after reading your email. To ensure conversion, you have to make a strong case for it. Define the value of a subscription to your blog. What's the benefit for them? How will it make their lives/jobs easier? Email copy doesn't have to be cut and dry. Increase engagement by sharing a compelling statistic or telling a relative story. As it turns out, our brains are wired for storytelling, so if you want to ensure that your message resonates, try to connect it to a relative event or situation in your life. Attention spans are short (to say the least.) If you want to improve the effectiveness of your copy, cut it in half. Focus on saying what you need to say in as few words as possible, while using short paragraphs and bulleted lists to ease readability. According to Litmus, 38% of emails are opened on a mobile device and 78% of U.S. email users will access their emails via mobile by 2017. To improve engagement, design your emails so that they adapt accordingly to different devices. This may mean reducing certain copy, resizing images, stacking modules, or leaving extra room around buttons to avoid missed clicks. A survey of content marketing trends by Trapit revealed that 82% of respondents believe that content is more likely to be consumed if it is visual. With that being said, be sure to leverage visuals to reinforce or simplify what's written. If you want to generate leads from your email marketing initiatives, it's critical that you have a highly visible CTA every time. This CTA will be responsible for carrying your recipients to wherever it is they need to go to complete the conversion. Before you fall back on something universal like "submit" or "sign up" ask yourself what is going to motivate your recipients to click the button. What are they getting out of it? Your recipients should be able to spot your CTA instantly. To ensure this, you'll want to employ a high contrast color that stands out against the background. This will help to draw the recipient's eye to the action you want them to take. If you're sending an email about your latest ebook, be sure that the primary CTA is driving recipients to the landing page for that offer. While it seems obvious, many emails lose their effectiveness due to poor content/CTA alignment. Simply put, define an overall goal and create a conversion path that makes it easy for them to follow through. Send remarkable emails that people love getting.